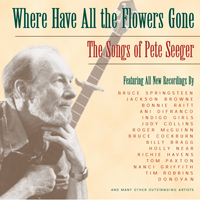 I'm so sorry to wake up to a world without Pete Seeger ... But so glad to have lived in a world with him in it. I loved reading the other day that Pete Seeger was attending Harvard until his sociology teacher said that "one can't change the world, one can only study it". Pete didn't appreciate that so he dropped out and changed the world. Pete Seeger on stage with John Gorka at the Newport Folk Festival on July 30, 2011 with "Quite Early Morning"
92-year-old Pete Seeger made several surprise appearances during the 2011 Newport Folk Festival. 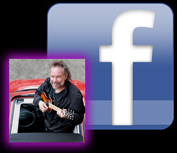 Here, he joined the Song Circle with John Gorka, Ellis Paul, Dar Williams, Liz Queler, and Seth Farber on the Harbor Stage on Saturday, July 30th. 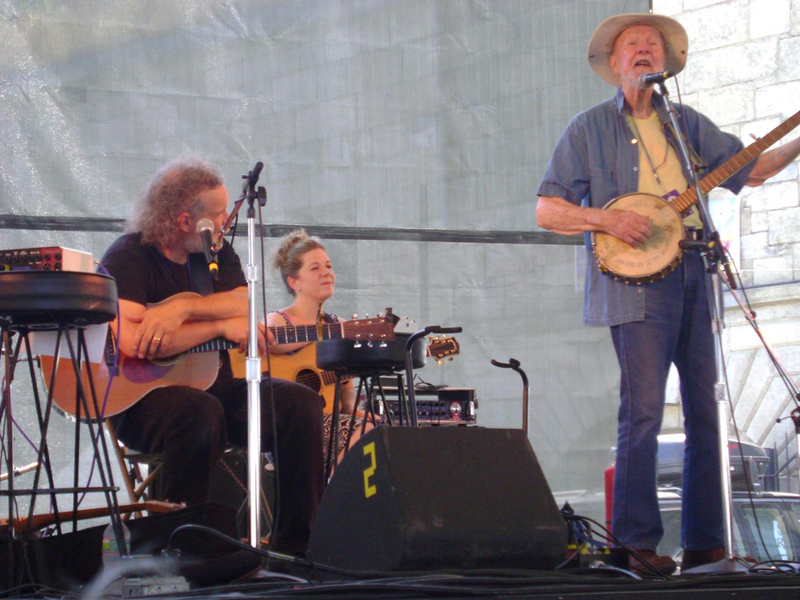 John wrote about this unannounced visit on facebook: "Some of you already know this but we had a special unannounced guest at our song swap at the Newport Folk Festival: Pete Seeger. I loved that." He co-founded and wrote for Sing Out, one of the first and most important magazines to grow out of the folk revival. He produced children's songs and books. But his commitment to causes never waned. Seeger's influence went well beyond folk music. He's a member of the Rock & Roll Hall of Fame, which says that in Seeger's "capable hands, from the '40s to the present day, a concert isn't regarded as a one-way proceeding but a group singalong.". 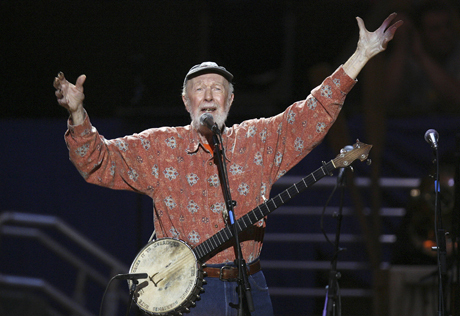 There's much more about Seeger in this archive of NPR's coverage of him over the years. John Gorka sings 'The Water is Wide' for a FolkAlley.com Extra in honor of Pete Seeger's 90th Birthday.